Indeed it has been a long way coming home, for the first time ever; you can now be able to decode the secret to connecting or getting along with pretty much anyone. This pretty amazing app considering the fact that it is totally unprecedented. 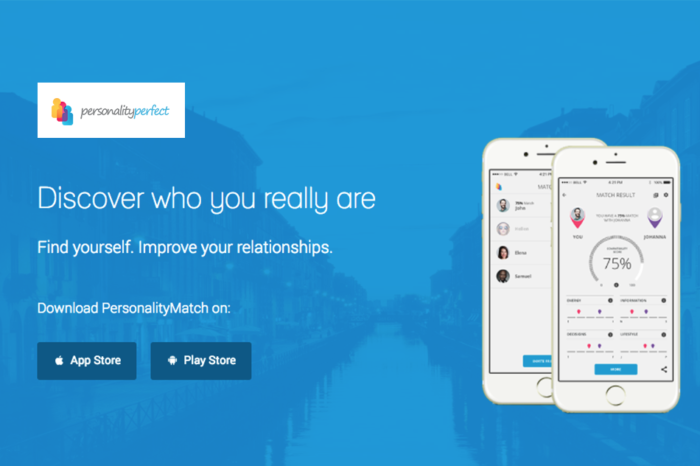 The PersonalityMatch app allows you to do and enjoy the following; take the awesome free personality test, discover the personality type you belong to, invite your friends and partners, discover and learn some easy ways that will help you boost your connection and relationships with your friends, partners, and colleagues. How does the PersonalityMatch work? This brilliant app simply works by allowing you to take the personality test that is free of charge and then letting you go on to invite your peers, friends or even partners to do exactly the same. The PersonalityMatch app will then go ahead and make a quality and thorough comparison of the personality types, and then give you the compatibility score. In addition, the app will also depict clearly those areas where you and your friends get along and why you do. It will also go on to give you a list of the possible conflict areas or points that could easily get you guys differing and conflicting. The good thing is that it just does not end there; the app will also give you a number of options on how you can resolve all those possible conflicts. What makes the PersonalityMatch app unique? One of the amazing features and capabilities of this app, that stands out among the others is its unique and impressive sharing capability. In this way, you can easily invite as many friends as possible to take the tests and you go ahead and compare the compatibility score that usually ranges from 0% to 100%. � Get personalized advice on how to improve your relationship with your friends, colleagues, and peers. The PersonalityMatch app was designed based on the 16 classical personalities from great psychologists such as Isabel Briggs Myers, theories of Carl Jung and Katharine Cook Briggs. The app is also instrumental in helping you find your ultimate and highest career path. The incorporated personality test can also double up as a job and career test as well. You will just have to take the test, and it will all be crystal clear what careers you should consider and the one’s you should not even think of trying.